For the past several years, microbeads took the beauty industry by storm. The small, spherical plastic beads began appearing in just about everything—exfoliators, cleansers, moisturizers, body washes, shaving creams, and even toothpastes. Initially, consumers responded favorably—perhaps you were one of them. 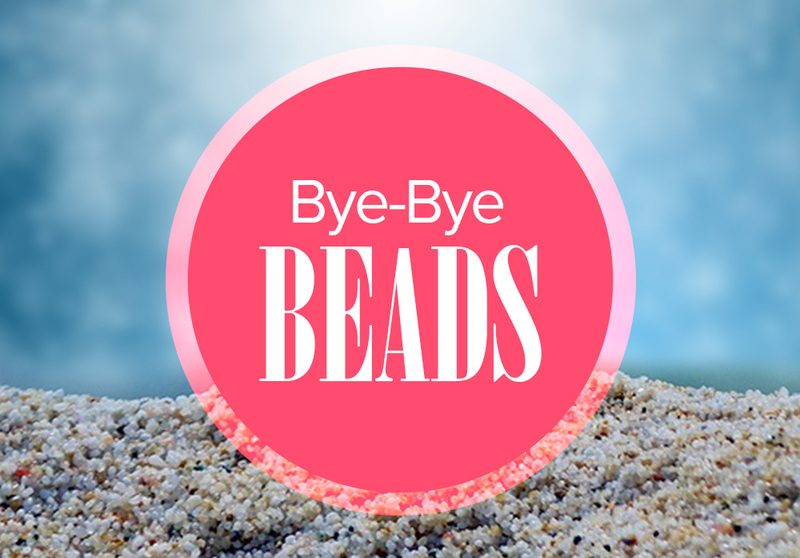 After all, microbeads do a great job at sloughing off dead cells, leaving skin soft and glowing. What’s not to love about that?? However, times have changed and today, microbeads are far less popular because of their environmental impact. To explain why that is, let’s consider the journey of a microbead. To begin our tale, let’s say that you just cleaned your face with an exfoliator containing microbeads. While you’re enjoying the silky feeling of your baby-soft skin, the microbeads—about 17,000 of them—are being flushed down your drainpipes. This probably doesn’t sound like too big of a deal—after all, they’re tiny! But let’s continue following their journey to see where they ultimately end up. Their next stop is a water treatment plant. While treatment plants are designed to remove items like this from the water supply, microbeads are simply too small to be picked up by most filters. So, the microbeads continue along their path, making their way into streams, lakes, and oceans. By the time microbeads begin moving downstream in these bodies of water, they no longer resemble the microbeads that you washed your face with. Along the way, they’ve acted like small sponges, absorbing pesticides, flame retardants, heavy metals, and other types of toxins. Yuck. In fact, it’s estimated that every day in the US, 8 trillion beads end up in our waterways—that’s enough to cover 300 tennis courts on a daily basis! And unfortunately, these microbeads biodegrade so slowly that they may as well be sitting at the bottom of your local lake forever. Not all of them remain there, however. To smaller fish, microbeads resemble tasty snacks. Little fish eat the microbeads and then, big fish eat the little fish. And do you know who eats the big fish? Gulp. Yes, that’s right—we do. According to a recent study, 25% of the fish sampled from California markets contained man-made pollution, like plastic debris. It’s too soon to say how microbeads in our food chain affect humans, but naturally, this is an undesirable outcome. 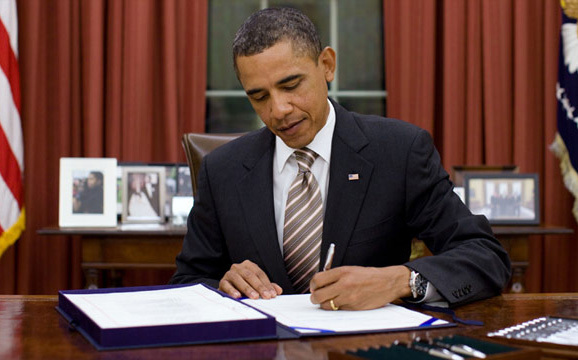 President Obama signed a bill phasing out the production of microbead beauty products nationwide. Microbeads can also harm fish, turtles, and the birds that feed off of them. These animals are tricked into thinking that they’re full after eating microbeads when they haven’t actually ingested any nutrients. Perhaps worse still, the plastic particles often get stuck in their digestive systems. For these reasons, microbeads present a global marine hazard. And while we don’t know the long-term implications of microbeads in our lakes, seas, and oceans, it’s safe to say that what we do know is alarming enough to discontinue our usage of them. That’s why 6 states have already restricted the use of microbeads: Colorado, Illinois, Indiana, Maine, Maryland, and New Jersey. Most recently, President Obama signed a bill phasing out the production of microbead beauty products nationwide. While we won’t bore you with the specific legalese of the bill, here’s what you need to know as a beauty products consumer: manufacturers must stop including microbeads in face wash, toothpastes, and shampoo by July, 2017. Furthermore, as of July 2018, people will no longer be able to buy beauty products that contain microbeads. The bill—which will prevent trillions of microbeads from being released into our waterways—is considered an “important step toward addressing the global crisis of microplastic pollution,” reports EcoWatch. Ultimately, we are only 2 years away from being unable to buy products made with microbeads. However, if you’re alarmed about the impact of microbeads on our planet and would like to stop using them now, we have suggestions on how you can find eco-friendly products to replace your microbead favorites. First, shop around. There are alternatives on the marketplace and Beat the Microbead, an international campaign to eliminate microbeads from beauty products, has compiled a helpful list of cosmetics that don’t contain microbeads. While it’s tempting to imagine that these microbead alternatives are subpar, that isn’t the case. In fact, Dr. Debra Jaliman, author of Skin Rules, says that biodegradable alternatives—like rice, apricot seeds, walnut shells, and bamboo—are gentler on the skin and do a better job at exfoliating because they are textured, unlike microbeads. 1. 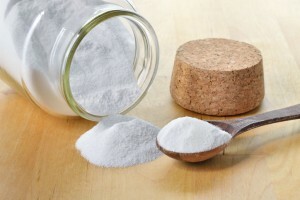 Baking Soda – Baking soda makes a great exfoliator and it’s commonly found in pricier exfoliation products. Simply add a small amount to your facial cleanser and gently rub into your skin before rinsing off. 2. 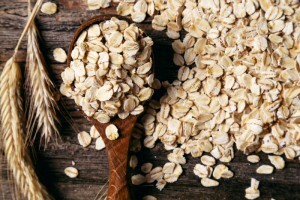 Oatmeal – Oatmeal is amazing for sensitive skin and because of its grainy texture, it’s a natural for removing dead skin cells. Just add some to warm water, wait until the oatmeal softens, and then massage it into your skin. 3. 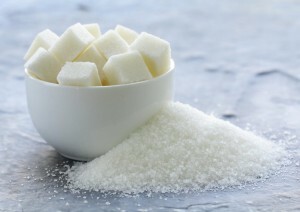 Sugar – Virtually everyone has sugar on hand. We recommend that you grab a small amount, mix it with an oil (like olive or coconut), and use it for sloughing away rough areas. It won’t be long before microbeads are no longer available, but that’s hardly a bad thing—unless you like the thought of eating toxic plastic with your fish fry! There are plenty of alternatives on the market that do a great job of exfoliating, without the harmful environmental impact. Tell us what you think in the comments. Are you happy that the microbead ban has passed? Do you make an effort to buy eco-friendly beauty products? We’d love to hear your thoughts!